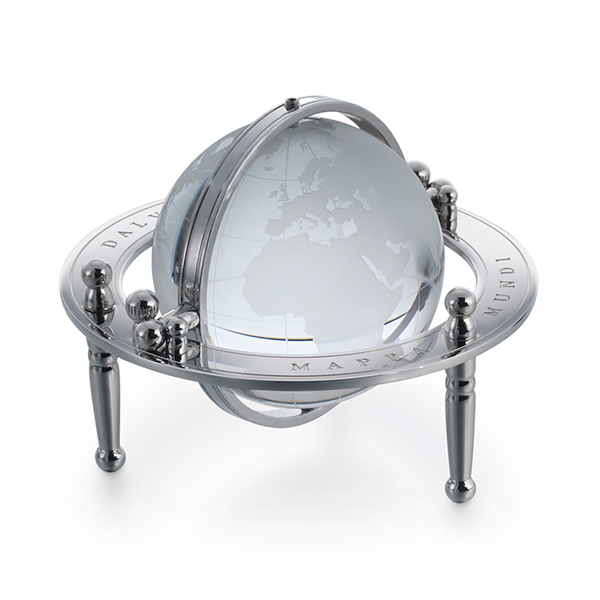 FEATURES/SPECS Nothing gives your desktop an air of sophistication quite like a globe, particulary one constructed of solid crystal and polished stainless steel. 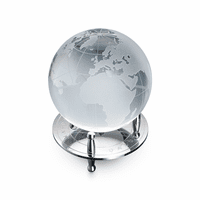 This desktop globe can be used as a paperweight or just as a decoration. 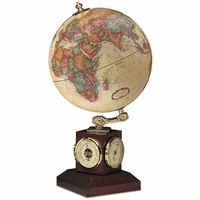 It has laser etched continents on the crystal globe, which is held in place with a gimbal style cradle that rotates in all directions. The Latin words MAPPA MUNDI, which refers to a medieval period European map of the world. 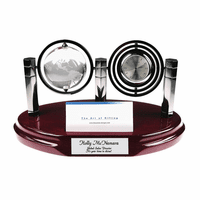 This crystal desktop globe is an ideal gift for your favorite hard-to-shop-for executive. No, sorry, there is no smooth area to add engraving on this item. The little globe is stunning! I purchased this for my husband as a 15th anniversary (crystal anniversary) gift. It is hard to find a crystal gift for a man and I thought this was very unique. It is the perfect size for a desk- not big enough to get in the way, but is a work of art that gets attention.